The 2011 FIRST Robotics Competition season kicked off with a suprise appearance by will.i.am of the Black Eyed Peas. During the kickoff, with Dean Kamen right at his side, will.i.am pledged his support for FIRST as an inspirational program that not only those of us who are deeply involved in FIRST, but the whole world see the excitement and value of participating, sponsoring, mentoring, coaching, and volunteering with a FIRST team(s). We all knew that whatever will.i.am and Dean were planning it would be much bigger than the two of them standing in Manchester talking about will.i.am’s coming on board as a……………..
That was the tricky part. What exactly would will.i.am be bringing and doing to promote FIRST? That question was clearly answered last night as will.i.am and the Black Eyed Peas performed to a packed Championship FIRST Robotic Competition crowd in the Edward Jones Dome in St. Louis, Mo. He received a FTC kit of parts and built a robot that competeted against Dean Kamen’s robot and according to the story, will.i.am’s robot beat Dean’s by a score of 73-9. After being involved in FIRST and building robots at all three FIRST program levels FLL, FTC, and FRC, I am ecstatic that will.i.am has taken the lead and brought rockstar status to FIRST. He told the crowd that in his initial conversations, Dean stated he wanted will.i.am to bring an element of cool to FIRST. Kick it up a notch, connect with a huge pool of young people who are so pluged in to their iPods and MP3 players that having a star power would elevate FIRST through the roof. He told Dean that FIRST was already cool but what he could bring was loud. He was so right. The performance was videotaped as well as interviews around the pits with teams and will air on ABC this August. The performance was so loud smaller cameras don’t do it justice but here is a clip from last night. I’ll post several of the ones I shot when I get back from Championships. Not only was last night a good night but FIRST Robotics will never be the same. As always, enjoy! Thanks to @joelglick and his now famous #hatcam, the STS-134 NASA Tweetup is streaming live thanks to @foundonmars. The morning has been fabulous so far with EVA spacesuit demonstrations and cool celebrity appearances by Levar Burton and Seth Green who are actually participating in the Tweetup. Too Cool and totally missing being there. Excitement is everywhere at the 2011 FIRST Robotics Championships in the Edward Jones Dome in St. Louis, MO. I’ll be covering the events and will stream video live beginning Friday, April 29 on the NASA Lady USTREAM channel. I’ll have interviews with teams, live action from the fields, and a cool behind the scenes peek of all the FIRST programs at the Championships. Practice rounds start today for FLL and FRC. FTC matches begin today and full match action starts tomorrow for FLL and FRC. If you’re there, don’t forget the FIRST Conference. Every year there is a wealth of information you can gather from the presentations which also are located in the Edward Jones Dome. FRC events willl be be streamed live on NASA TV beginning tomorrow at 9:30 CST. http://1.usa.gov/d9D0vM. Teachers, your classes can follow the action via my tweets as well as my live video feed on Ustream where you can ask questions and provide comments during the live feed. If you’re in DC this week, NASA has a treat planned for anyone and everyone steeped in NASA mission history. 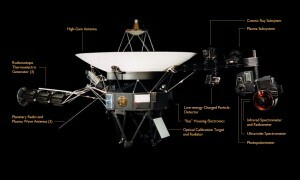 Thursday, April 28 NASA will present The Voyager Spacecraft Humanity’s Farthest Journey from 1-2 pm ET in NASA HQ auditorium. The event is open to the public and will also be broadcast on NASA TV. You’re invited to hear the 33 year journey of NASA’s twin Voyager spacecraft which have explored space where nothing (including man) has flown before. Both spacecrafts are still going strong and have reached the outer boundaries of the Heliosphere. Voyager 1 and 2 have given us a close look at Jupiter, Saturn, Uranus, and Neptune as well as the outer boundaries of our Solar System that we might not have seen until sometime in the future without their keen eyes. As Voyager heads beyond our Solar System, a golden record is aboard carrying the sounds, culture, and voices of Earth’s diverse cultures. The recording, a project lead by Carl Sagan, is a snapshot of a diverse planet Earth with messages of welcome and peace in 55 languages. The plan is when Voyager encounters extraterresterial life in the future, they will have the technology to play the record and discover all the wonderful things about Earth! While we’ve progessed a measurable amount since the recording was made, it still remains a symbol of who we were and what humanity was in 1977. The record is a time capsule, a metaphor, a ‘message in a bottle’ so to speak. 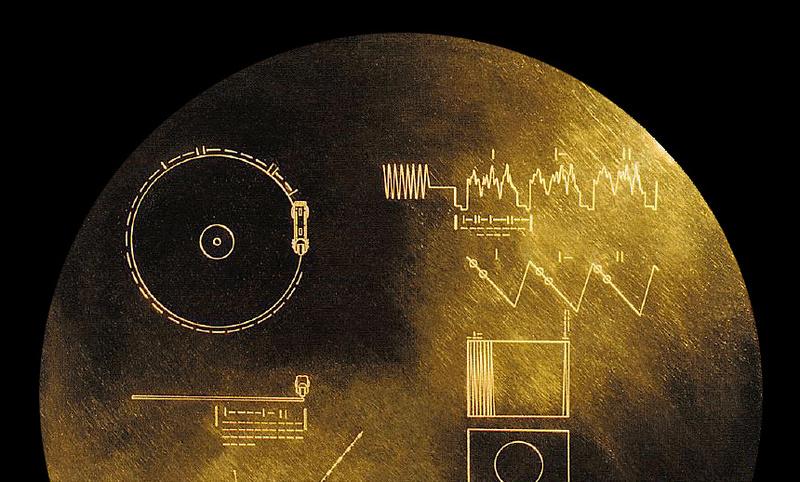 Imagine those of us who monitor space listening for signs of intelligent communication coming from ‘out there in space’ finally getting the call with references back to information on the golden record! While not a full fledged Trekkie, I love the science and the technological advancements found in Star Trek. As a writer, I do believe that ideas can shape the world and our future as the seed of an idea can be planted and grown through a process of scientific development into future technologies. After all, ideas drive the process of innovation and invention. As a child, I thought by the time I grew up we would have starships, warp drive, renewable energy to power spacecrafts (Dilithium Crystals), space colonies, transporters, and oh so much more. I still remember the first Star Trek movie where an alien ship named V’Ger attacks the Enterprise and abducts a crew member. As Kirk and his crew dig deeper into the origins of the alien spacecraft, Spock discovers the alien ship is actually Voyager 6, a 20th century space probe that was discovered by an alien race of living machines and based on its recorded message, is sent on a mission to learn all it can and find its creator. Along the way V’Ger gathers so much knowledge that it achieves conciousness. Fascinating. We all know what happens when machines can think for themselves. While this storyline has since been adopted and made into other movies, Terminator and the Matrix. As their journey continues, we can only imagine where their destiny will take them. Along the way, we’ll continue to follow their path ever hopefuly that one day those extraterristerals will ping us back and say hi. Yesterday was Earth Day! I think over the past ten years many of us have become more aware and active over protecting the fragile planet we call home. Some of the most breathtaking and awe inspiring moments I have had in past years of working in K-12 NASA outreach are looking at photos of Earth from space and sharing these images with young people to inspire them to dream big. As NASA winds down the Space Shuttle Program with STS-134, the last flight of Endeavor, and hopefully the launch of Atlantis, STS-135, this June, here is a dramatic, powerful, inspirational and visually stunning tribute to the Space Shuttle Program created by @ScreenscapeS. Thanks Mike! Enjoy everyone! To learn more about NASA’s Space Shuttle Program and the 30 years of historic missions and American ingenuity and innovation that has allowed hundreds of astronauts, including a fantastic list of female crew members, to experience a ride on a rocket to space visit the NASA Space Shuttle Program website. 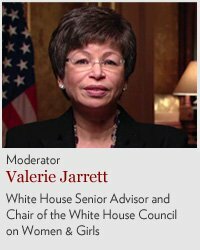 Valerie Jarrett, White House Senior Advisor and Chair of the White House Council on Women and Girls will moderate the White House’s “Women in Technology Panel” immediately following President Obama’s live Town Hall meeting on Facebook tonight, April 20th. Participants have the opportunity to submit questions prior to the event or during the event. If you are involved in technology, science, or STEM programs for girls put this event on your calendar and be online tonight. See you there virtually! 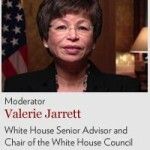 Join us for a panel on Women in Technology hosted by White House Senior Advisor and Chair of the White House Council on Women and Girls Valerie Jarrett. Wednesday, April 20, 2011 at 3:15 pm PT / 6:15 pm ET, shortly after President Obama’s facebook Townhall. More diversity in technology companies means more innovation, increased competitiveness and greater business success. Join us to hear about what the public and private sectors are already doing to reap the benefits of more women in tech roles, and what more can be done. RSVP now and submit a question on this event’s wall or submit a question live during the event at the link above. Expedition 27 Flight Engineer Ron Garan shares his education message on the importance of STEM (science, technology, engineering, and mathematics) to empower the next generation of explorers, scientists, and engineers. 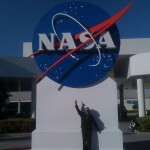 Follow the Expedition 27 mission at the NASA web portal and get updates from space by following @astro_ron on Twitter. Dreams, What’s the Big Deal ? on. 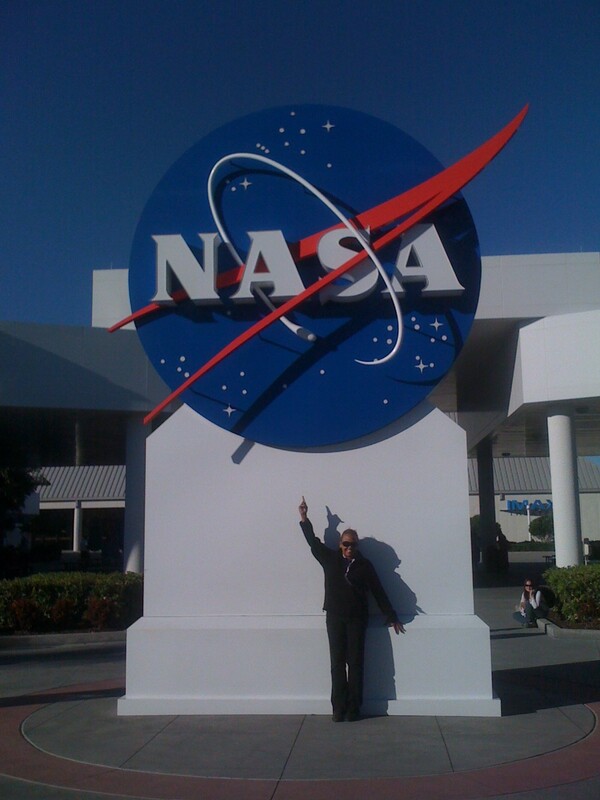 When I started writing about the NASA program I managed seven years ago, the wonder and amazement in the eyes and verbal expressions of the young people my staff or I presented content to never ceased to amaze me. Their eyes would get big, the words “Wow”, “Amazing”, and “Awesome” followed. Then the questions began. The one that always makes me smile and laugh is when my young audience asks me if I’m an astronaut. Even though I often present in my Northrop Grumman Weightless Flights of Discovery flight suit, I explain that I am not an astronaut but the closest thing to being in space I’ve experienced was flying on the Zero G plane. Then I let them know that while I’m not an astronaut they can be. There’s usually a puzzled look on many faces when I tell them this but then I go on to explain that becoming an astronaut is a dream that can become a reality. I’m not sure how many people believe in the power of dreams but I look at dreaming as a fun exercise in daily affirmations. When I write or talk about dreams I’m not referring to the dreams that come to us in our sleep but the active act of dreaming of through imagination, creativity, and plans for what you or your life may be life in the next day, week, month, or year(s). I have incorporated this explanation into my presentations and workshops because I believe the act of dreaming is losing out to today’s technological landscape. When I was younger, dreaming and playing make-believe was a big part of our lives. Television was a treat to be enjoyed in the evening and only for an hour or two before bedtime. It was more fun to grab a bunch of stuff, dress up, and pretend to be whatever the idea was for the day. We made countless mud pies, attempted to feed cookies and tea to our dolls, dressed up in our mother’s clothes which made us feel real grown-up, and at one point we rescued neighborhood kittens and dressed them in doll clothes. This was our practice for motherhood. Of course the kittens objected wildly and after a day of being dressed into clothes, bonnets, and stuffed in strollers to be paraded up and down our street, they hid themselves or left the neighborhood so they would never be subjected to our playtime fantasies again. We would spend hours in the summertime on our front porches drinking 10 cent Old Dutch sodas and sharing our dreams for the future. Thanks to technology, I have found some of my childhood friends and we laugh as we look at our lives now and reminiscence about our conversations of what we would be when we grew up. Our dreams allowed us to plant seeds of careers which took root through high school and college. Experience is the best teacher, and when I talk to young people about dreaming I share my story of how dreams can shape our life. Sometimes they happen with a purpose and sometimes they can be subliminal thoughts that nudge you in a direction that you might have had intentions of following but let life get in the way. So to show my audience that the dream of becoming an astronaut is not one that is far fetched or unattainable, I bring pictures of astronauts, information on how to apply to be an astronaut, and tons of videos and multi-media showing astronauts at work and at play. I let them know that civilians now play an important role in space missions and you don’t have to be a former air force pilot or even an engineer to become an astronaut. As NASA moves out of the manned space flight business, there are now more opportunities to be an astronaut than ever before. Commercial manned space flights and space exploration will launch an entirely new set of careers. There are private commercial space companies waiting to be born, scientists needed to continue experiments on living, working, and discovering what is out there in space, engineers innnovating and designing the next generation of space crafts, human settlements and terraforming of planets, and space stations in galaxies yet explored just waiting for us to take the journey. While the dream is important, all young dreamers need a support network and this is what we aim for on this site. Many of our young people have dreams but there is no one to help them along the way as mentors, to offer academic and career guidance, or helping them make good life choices. We are building a network of people to help our young dreamers reach their goals. Stay tuned to find out how you can become a part of a new initiative to keep young dreams alive. this, I’ve had to go back to learning how to mock up a web page design using Photoshop and tweeking themes I’ve found to get an idea for how to create one of my own. I know what I want the site to look like and after months of just letting it sit with a cool twitter feed application which you can read here, The NASA Lady’s Tweets, I decided it was time to get the site polished so it can become the reality of my vision to spread STEM (science, technology, engineering and mathematics) to schools, teachers, students, communities, and any and everyone interested in all things space, engineering, and science related. to and as I keep working on the theme new categories and resources will be added. Please stay tuned, come back and visit often, and feel free to make my site a favorite!